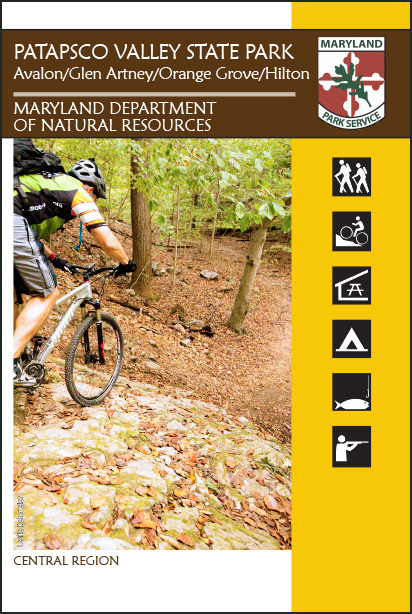 New guides focusing on the three Patapsco Valley SP day-use areas are now available. Each color 12" x 16" guide folds down to 4" x 6" to easily fit in your pocket. The version covering Avalon, Glen Artney, Orange Grove, and Hilton shows the trails and related facilities for the area of the park between US-1 and Ilchester Road.